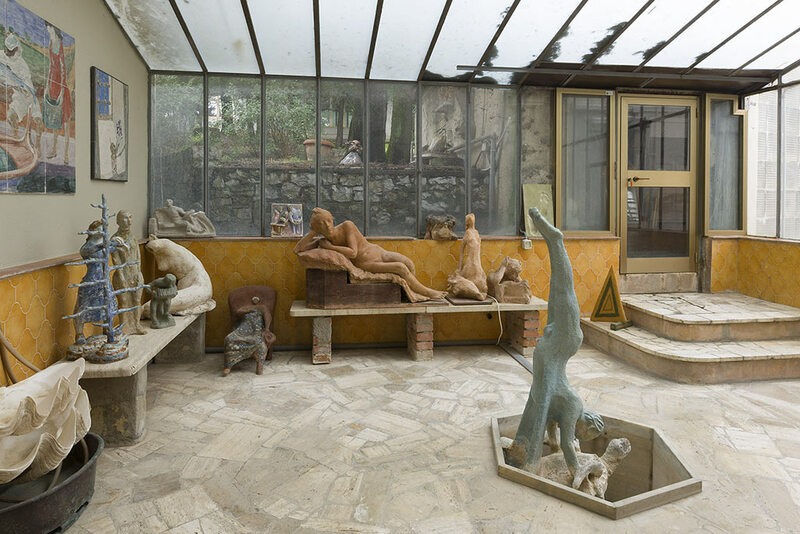 Leonetto Tintori (1908–2000) was a versatile artist who experimented with various techniques and materials, ranging from sculpture to mosaics and imitation marble, but he was also an internationally famed restorer. 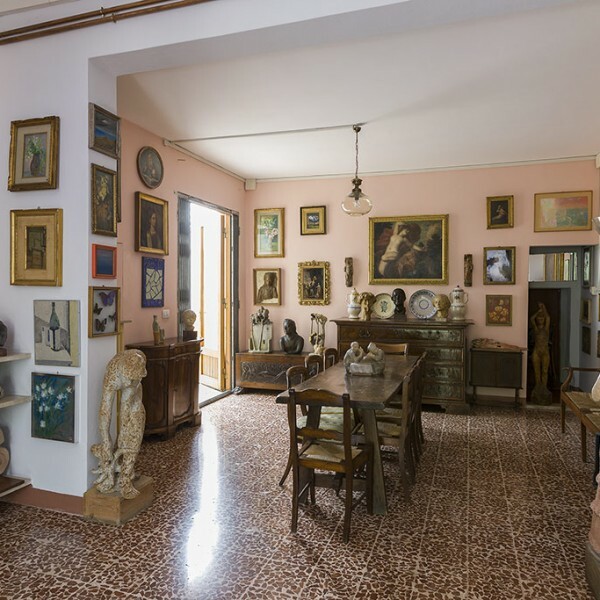 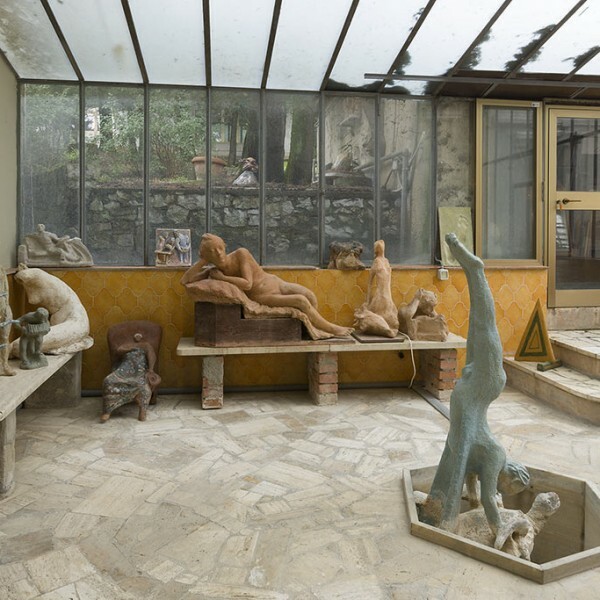 He and his wife Elena purchased a house in 1935 in the locality of Vainella and equipped it as a school of art, donating it to the Prato City Council in 1983 to be used for artistic and cultural pursuits. 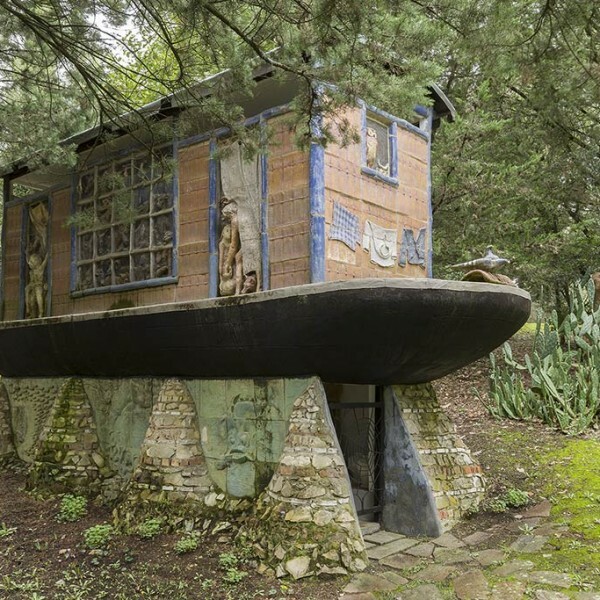 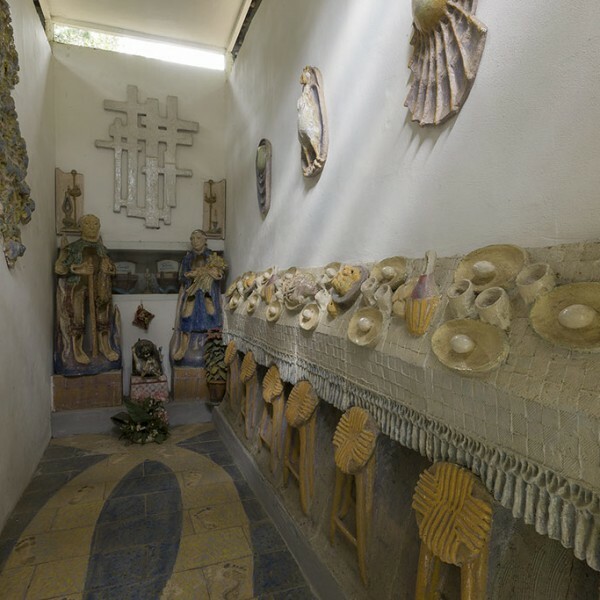 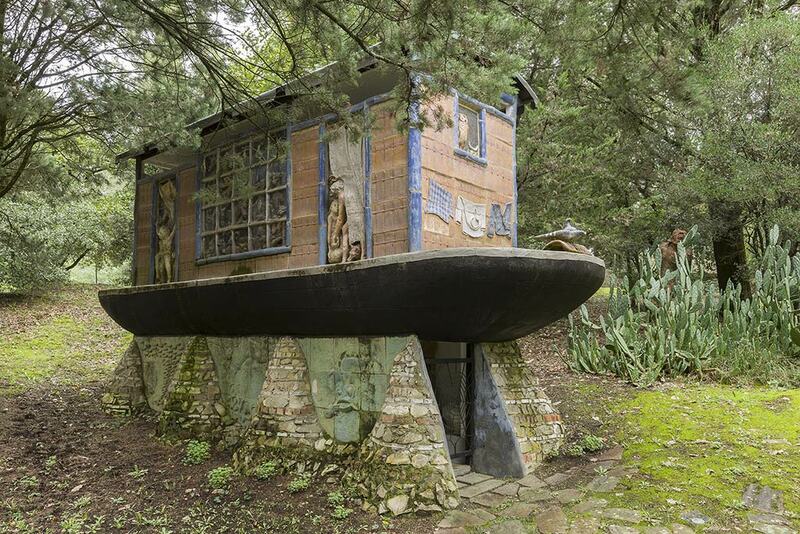 The historic house museum is surrounded by a garden dotted with sculptures executed by Tintori — mainly in ceramics — and dominated by the large Arca [Ark], built by the artist for the repose of his own and his wife’s ashes. 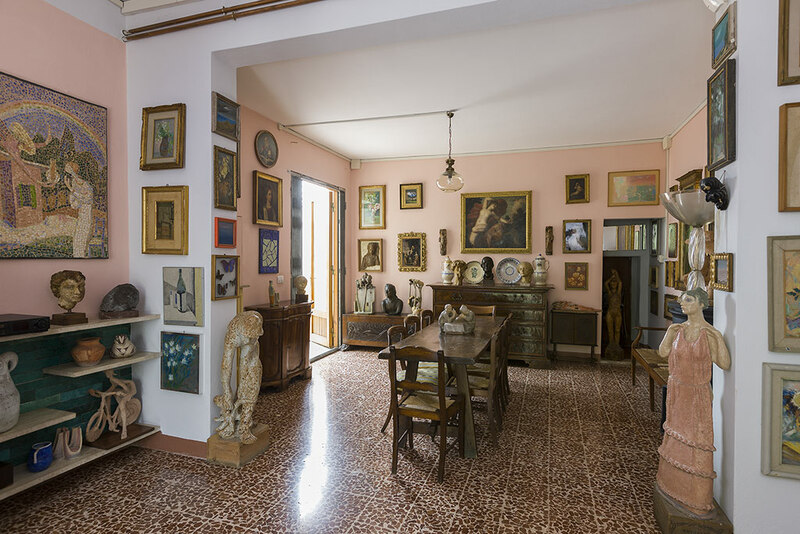 The house is furnished with extreme simplicity, with furnishings and artworks from various periods, including some by Tintori himself. 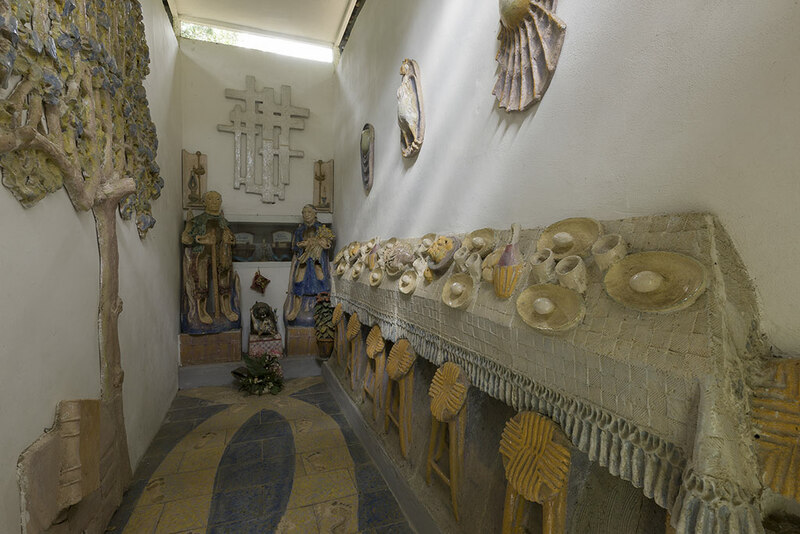 The fresco workshop looks after visits to the house and garden but, above all — inspired by Tintori’s experiences — carries on educational activities on the techniques of mural painting and artistic ceramics.